﻿"They're addictive - I have five!" The design, handed down to Mr. Rossi from his mentor, John McCaw, then fine-tuned for decades, allows for an easy feel, warm resonance, and smooth transition between registers. With hand-made key-work and a final tuning process given to each instrument by the maker himself, Rossi clarinets are recognized worldwide for their consistency and tonal quality. The now classic one-piece body is just one of the features that contribute to making a Rossi such a powerful companion in any clarinet player's career. Wooden rings on barrel and bell. Extra adjusting metal screws to avoid cork replacement. Side B and Bb trill keys mounted on separate posts. One piece body, allowing for increased resonance, as well as perfect placement of the C#/G# tone-hole. 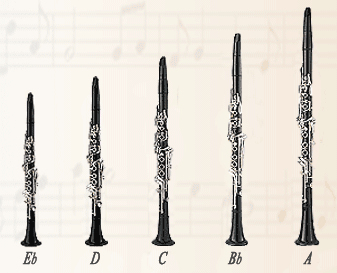 Rossi clarinets are available in Eb, D,C, Bb, and A.